Is It a Slice of a Cinnamon Bun? No! It’s a Cinnamon Swirl Pancake! – Butter, Baking, and Bacon! Is It a Slice of a Cinnamon Bun? No! 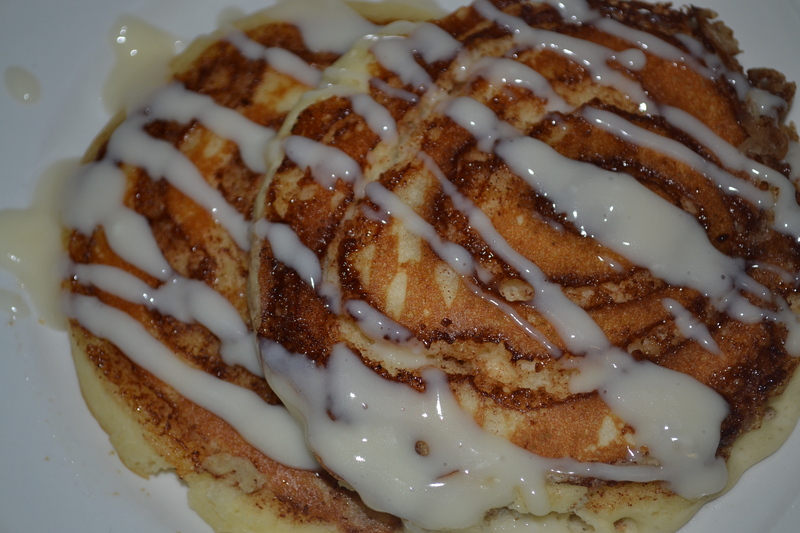 It’s a Cinnamon Swirl Pancake! 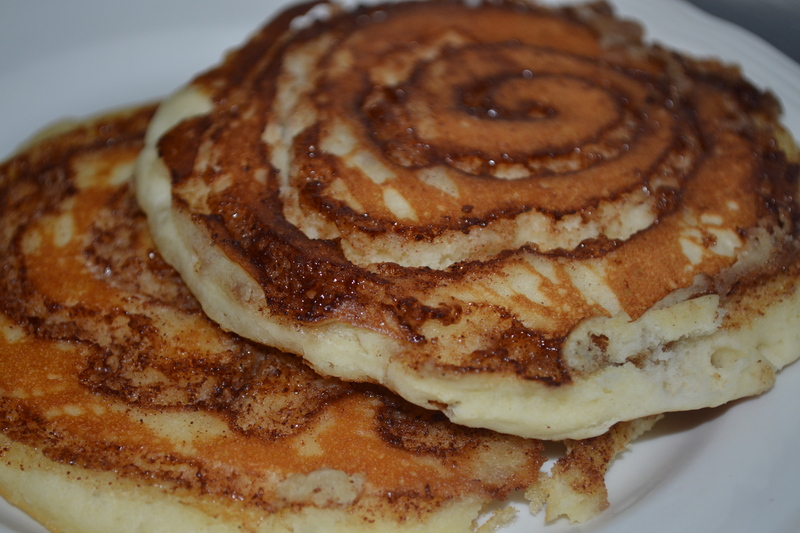 These cinnamon swirl pancakes came about because of my younger brother, Richard Melson, Jr. He is an amazing food critic in his own right and it is SO much fun creating new things just for him! I made these on my Whip it Up Wednesday segment with Shonda Knight and Art Myers on WCTV on October 19, 2011. They were such a huge hit and so much fun! They are SO easy peasy! I hope you enjoy making some of these with your friends and loved ones! If you do, post back and let me know!! In a microwave safe bowl, combine the butter, brown sugar, granulated sugar, nutmeg, and cinnamon until smooth. Microwave on high for 10 seconds. Spoon the cinnamon mixture into a pastry bag fitted with a medium tip, or, simply use a sandwich or Ziploc bag with the corner snipped off. Pour pancake batter onto hot griddle. When you see the bubbles beginning to form, pipe the cinnamon mixture onto batter in a swirl shape. 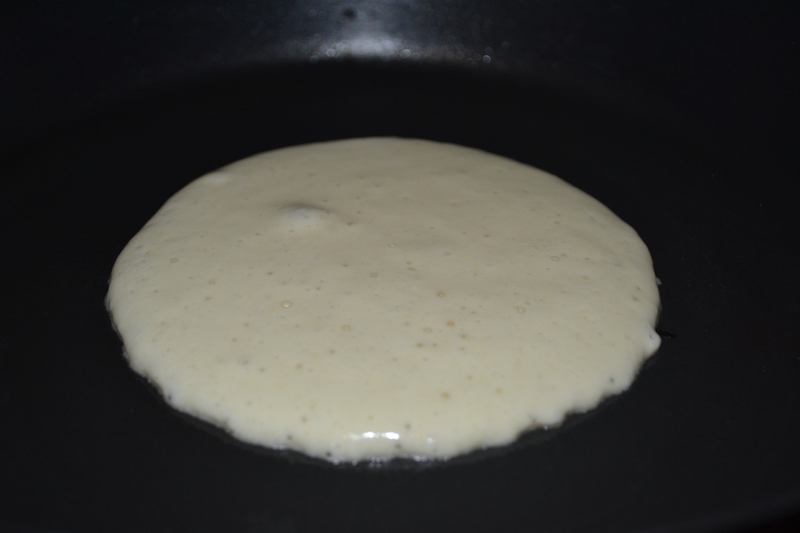 When pancake edges are lightly browned, flip and cook until done. Using a hand-mixer, mix until smooth and pour the icing into another pastry bag or Ziploc bag. Squeeze it over the hot pancakes in any design you want! Enjoy your pancakes! If you really want to make them a treat, add some pureed pumpkin or sweet potato to your pancake batter. You could also add chopped pecans or raisins on top of the cinnamon swirl! Don’t forget, post back and let me know how your pancakes turned out!! Previous Post Ooey Gooey Flaky Cinnamon Rolls! Next Post Take-Out? Yep, from the Kitchen to the Table!